Interesting little grouping of Second War period tins. 2 tins are for bandages. One tin is an empty emergency iron ration. 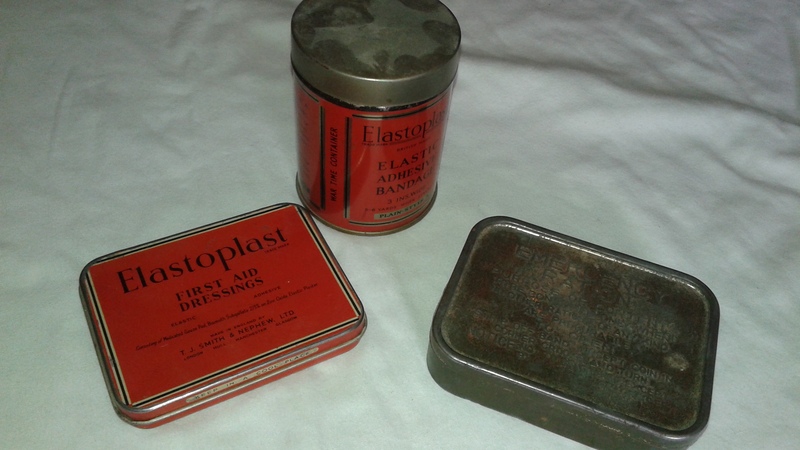 The bandage tins also lack their original contents. Condition is very good plus. Nice little display pieces.